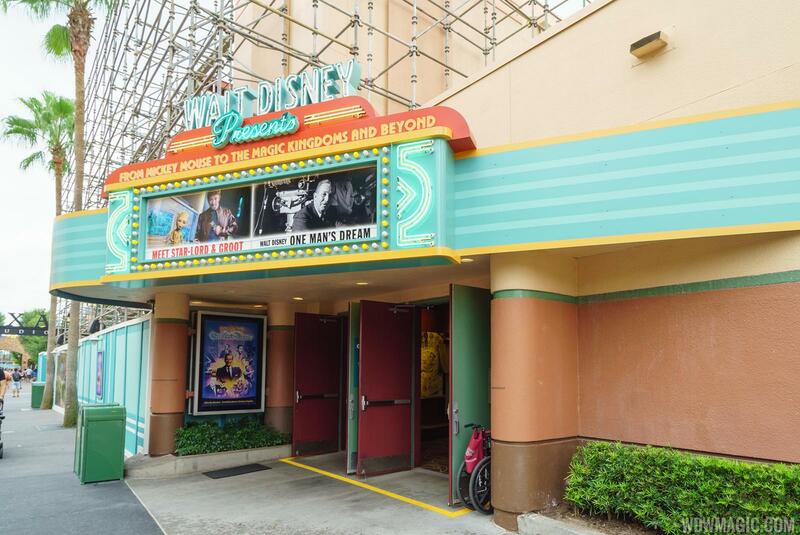 'Flurry of Fun' coming to Disney's Hollywood Studios for the holidays. This new projection show on a snowy Sunset Blvd will feature iconic characters sharing their love for the season. All the while, the Hollywood Tower Hotel—magically transforms, bringing to life the characters’ stories. The show will run continuously each evening from November 9 to December 31, 2017. Extra-large ornaments, colorful garlands and a giant Christmas tree centered on the water will make Echo Lake the merriest of places this holiday season. Even Dinosaur Gertie will be dressed for the occasion with a dino-Santa hat. For a limited time all-new songs from Disney’s new animated short “Olaf’s Frozen Adventure” will be added to the show, with appearances from Olaf himself. 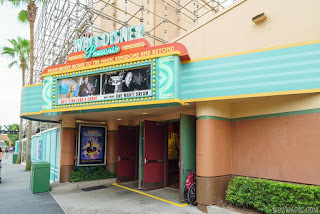 Walt Disney Presents is now open at Disney's Hollywood Studios, replacing the former One Man's Dream attraction. Most of the original exhibits are still in place, and the section devoted to the history of Walt Disney remains untouched. Towards the end of the exhibit, the original Florida Project area is now home to models of Toy Story Land and Star Wars A Galaxy's Edge. Some new artwork is on display, detailing some of the recent additions to Disneyland Resort, Walt Disney Resort and the parks in Asia. When movie previews are not playing, the theatre presentation at the end of the exhibit continues to be One Man's Dream. Beginning November 3, 2017, 'Walt Disney Presents' at Disney's Hollywood Studios will be showing a preview of Coco - the upcoming Disney/Pixar movie. Along with the preview of Coco, there will also be artwork and character sculptures from the production on display. Echo Lake at Disney's Hollywood Studios is now completely drained ahead of its upcoming refurbishment. Along with paint and general clean-up, the structures to add the holiday enhancements will be added to the lake. The Beach Pool at Disney's Grand Floridian Resort is set for a lengthy refurbishment later this year. Both the Beach Pool and the Beaches Pool Bar & Grill will closed for refurbishment on November 20, 2017 through to February 25, 2018, with a planned reopening to guests on February 26, 2018. The recently refurbished Courtyard Pool will remain open during that time, along with the Courtyard Pool Bar and be the Beach Pool water play area. Beginning September 17, 2017, Satu'li Canteen in Pandora at Disney's Animal Kingdom will be adjusting its operating hours. Breakfast will be discontinued, and lunch will begin serving at 10:00am, 30 minutes earlier than its previous 10:30am lunch opening. Magic Kingdom's Disney After Hours ticketed event to take place in early 2018. Disney After Hours at the Magic Kingdom tickets get you into the park from 7:00 pm, lasting for 3 hours after regular park close, and includes complimentary ice cream novelties and beverages. Like before, the event gives guests extra time in the park to enjoy attractions after regular park closing. There are 7 dates currently planned, January 19, 26 and 30, February 8 and 15, and March 1 and 8, 2018. Disney has announced that its Fort Wilderness Resort and Campground will reopen next week. Various fake news websites have been posting that the resort is permanently closed. The resort closed last Saturday due to Hurricane Irma, and suffered considerable damage to the landscape along with uprooted trees. Guests with existing reservations are being relocated to other accommodations within Walt Disney World Resort hotels. Along with the continued closure of the resort, both Hoop-de-Doo Musical Revue and Mickey’s Backyard BBQ will be unavailable. Disney's Blizzard Beach water park has reopened following a near week long closure for Hurricane Irma. Disney is looking ahead to the holidays, and has released the full schedule for this year's special entertainment line-up. Here is everything happening for the 2017 holiday season. “Jingle Bell, Jingle BAM!” Dessert Party – Guests can wrap up their jolly holiday evenings with reserved viewing of the “Jingle Bell, Jingle BAM!” nighttime spectacular. The nightly party includes holiday-inspired snacks, delicious desserts, wine, beer, and specialty alcoholic and non-alcoholic beverages. A surprise Disney character will also join the fun, posing for pictures and signing autographs. This fun-filled special event is offered Nov. 9-Dec. 30, 2017. Book online at com/dining or call (407) WDW-DINE. Minnie’s Holiday Dine at Hollywood and Vine – Meet Minnie, Mickey, Daisy, Donald and Goofy for lunch and dinner celebrations centered on seasonal deliciousness. From Nov. 6-Jan. 7, the mouse-with-the-mostest will deck the halls for a banquet filled with holiday cheer and the joy of the season! 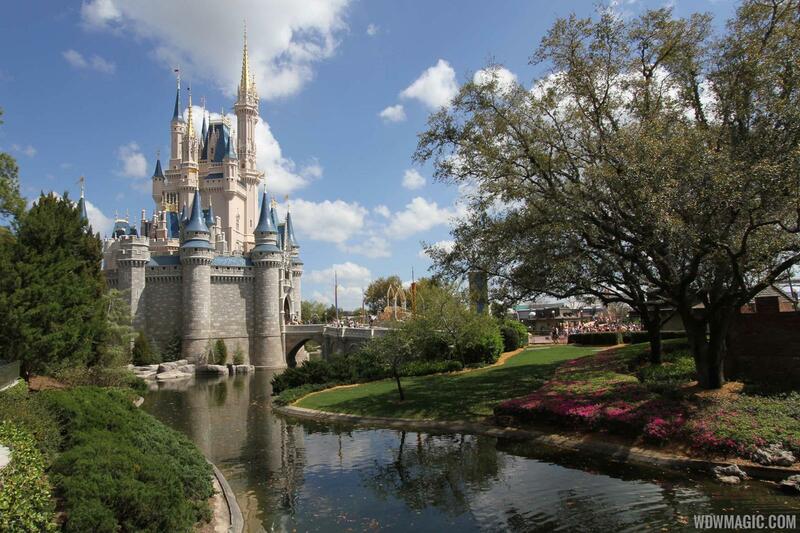 To make a reservation, check availability and book online visit com/dining or call (407) WDW-DINE. Santa Claus returns to the Once Upon a Time shop Nov. 9-Dec. 24 – The beautiful vintage setting of the Once Upon a Time shop recalls bygone days of Santa’s visits to great department stores across the country. Santa will be at the shop daily to greet guests and listen to holiday wishes. Santa Goofy will step in 25-Dec. 31 after Old Saint Nick returns to the North Pole. Holidays Around the World is transforming into the Epcot International Festival of the Holidays from Nov. 9-Dec. 30, surrounding guests once again in the wondrous sights, sounds and flavors of the season. NEW! Holiday Kitchens – The number of holiday kitchens doubles in size this year to a total of 15, each bringing the flavors of the season to life. New this year, guests can indulge in cookies and desserts at the holiday kitchen located inside the Odyssey complex. Sweet treats include snowflake sugar cookies and a warm apple fritter with cinnamon ice cream and caramel sauce. Over at the Canada pavilion, dazzling delicacies like the Maple Buche de Noel (maple mousse rolled in gingerbread chiffon cake with cranberry sauce and pecan crumble) celebrate holiday traditions from the Great White North. NEW! Chip & Dale’s Christmas Tree Spree – Chip and Dale are collecting ornaments for their Christmas tree. Guests can purchase a map and stickers from select merchandise locations and travel around World Showcase looking for the famous chipmunks with their ornaments. Guests can return their completed maps for a festive surprise, courtesy of Chip and Dale. Maps are available for $5.99 plus tax. NEW! 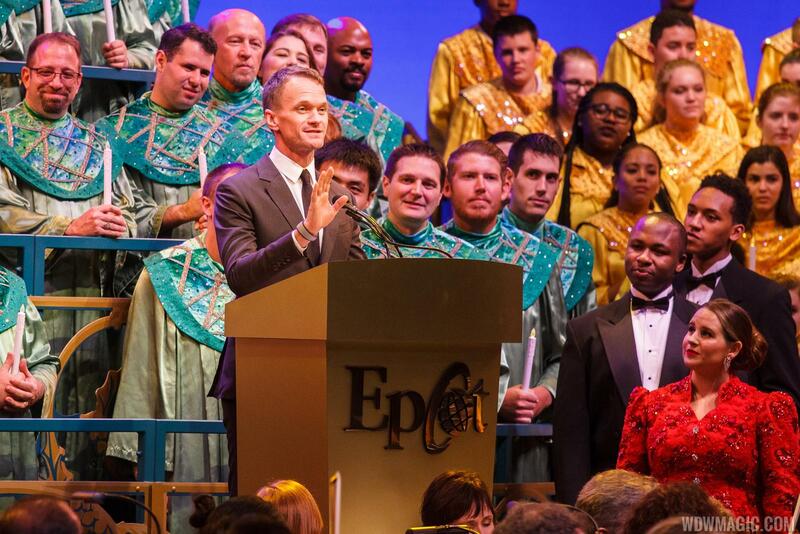 Candlelight Processional Narrators – One of the most popular Epcot traditions returns with new celebrity narrators in 2017. Pat Sajak, Matt Bomer and CCH Pounder will join the lineup of returning favorites like Neil Patrick Harris, Whoopi Goldberg and Jaci Velasquez. The Candlelight Processional is a retelling of the Christmas story as told by a celebrity narrator accompanied by 50-piece orchestra and a mass choir. The show takes place at the America Gardens Theatre each evening at 5:00 p.m., 6:45 p.m. and 8:15 p.m. Nov. 24-Dec. 30. Candlelight dinner packages can be reserved by visiting com/holiday. NEW! Holiday Entertainment – Enjoy the sights and sounds of the nations of World Showcase, as each country’s holiday heritage comes to life amid joyful music and time-honored traditions. Guests will discover an entertaining celebration of Hanukkah in a new location along World Showcase promenade, where a fun and interactive band interweaves the music of Hanukkah with jazz, Latin, rock and even hip-hop influences. Other returning holiday favorites include JOYFUL! A Gospel Celebration of the Season and Canadian Holiday Voyageurs. Fireworks Finale – The nightly fireworks display, IllumiNations: Reflections of Earth, will feature a special holiday ending. 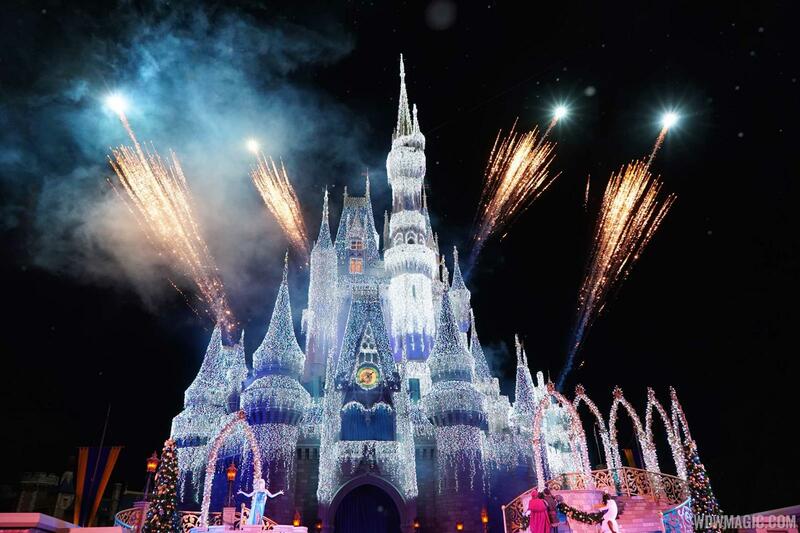 Mickey’s Very Merry Christmas Party – It’s a Christmas party like no other, with joyous music, a shimmering Cinderella Castle, characters in their festive finery and the Magic Kingdom decked out and made even more magical for merry-making guests of all ages. Each specially ticketed, limited-attendance event features an exclusive performance of Holiday Wishes fireworks and the earliest performances of other spectaculars like Mickey’s Once Upon a Christmastime Parade, the Frozen Holiday Wish castle-lighting ceremony and Mickey’s Most Merriest Celebration stage show. The special party – complete with cookies, cocoa and snow flurries – begins at 7 p.m., after regular park hours. Parties will be held on November 9, 10, 12, 14, 16, 17, 26 and 28, and December 1, 3, 5, 7, 8, 10, 12, 14, 15, 17, 19, 21 and 22. Every corner of Disney Springs is wrapped and ready for the season with holiday décor and special entertainment, making it the most wonderful place to shop. From top name-brands to cozy one-of-a kind retailers and, of course, all things Disney, there’s something for everyone. Busy shoppers can also take a break and enjoy a quick snack on the go or an unforgettable meal at one of Disney Springs many talked-about restaurants. NEW! An Even Bigger Christmas Tree Trail – To capture the spirit of the season, Marketplace guests can stroll among custom decorated holiday trees, each dedicated to a popular Disney theme. 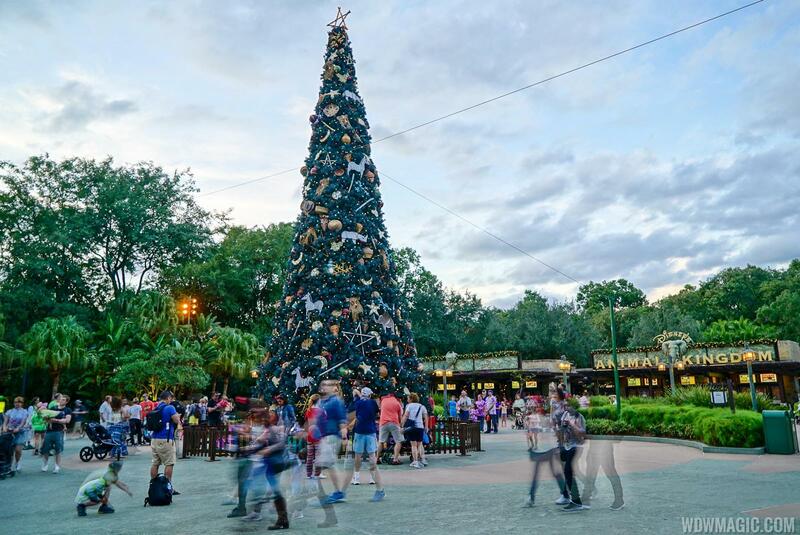 This year, the Christmas Tree Trail will expand to include ten new trees inspired by Disney classics such as Sleeping Beauty, Peter Pan, Snow White and Dumbo. 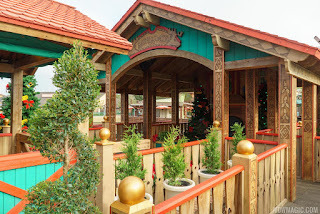 Santa’s Chalet – Santa Claus is accepting Christmas wish lists and welcoming guests to his chalet newly located by the Christmas Tree Trail. From Dec. 25-Dec. 31, Santa Goofy will take over after Old Saint Nick heads back to the North Pole. Stitch’s Holiday Gift Hunt – The mischievous experiment 626 returns to Disney Springs with an expanded scavenger hunt now featuring four new stops, including a special stop at the expanded Christmas Tree Trail. The warmth of the holiday season brings cheer to more than 25 Disney resorts. Every resort across Walt Disney World is decked out for the holidays. Entertainment abounds, including carolers performing on select nights at many resorts. At Disney’s Wilderness Lodge, guests can take in the grandeur of quintessential Pacific Northwest yuletide cheer beneath the towering lobby Christmas tree, as they cozy up to the fire and relax with a cup of hot cider and snack on holiday treats. They can also relax lakeside and enjoy a seasonal cocktail at Geyser Point Bar & Grill, then settle around the campfire with s’mores and hot chocolate at nightfall. At Disney’s Fort Wilderness Resort and Campground, the Hoop-de-Doo Musical Revue spruces up for the season with live holiday music by the Pioneer Hall Players, including favorites like “There’s No Place Like Home for the Holidays” and “Another Tennessee Christmas.” On select nights, the campground’s beloved carolers arrive by hay wagon spreading holiday cheer to all. Resort guests can also experience life-sized edible creations at select Walt Disney World Resorts. An annual treat, at Disney’s Grand Floridian Resort & Spa, is a life-sized holiday gingerbread house. 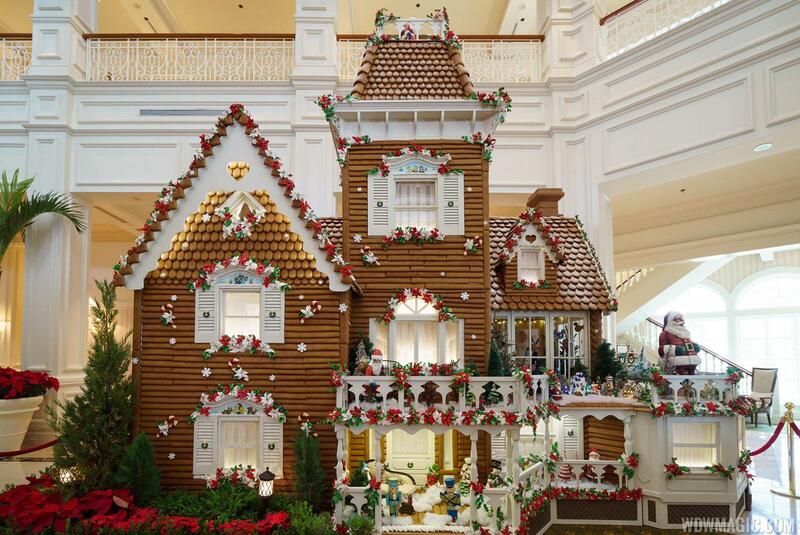 This eye-filling (and aromatic) sight is in the resort lobby and is home to The Bake Shop that uses a classic gingerbread recipe from Austria for its tasty cookies and ornaments. A life-sized, edible spinning carousel is a holiday tradition at Disney’s Beach Club Resort, while a holiday village with miniature train takes center stage at Disney’s Yacht Club Resort. “Disney Countdown to Midnight” includes delightful dining, live music, libations and more. An interactive band and DJ will fill the dance floor (and we hear that Mickey and Minnie may make a special appearance). Then welcome in 2018 with a flute of bubbly and a viewing of those legendary New Year’s Eve fireworks in Magic Kingdom Park. Hours are 8 p.m. to 12:15 a.m. in the Fantasia Ballroom. This party is designed for guests 18 and older. PIXAR PARTY– A New Year’s Eve Celebration: This party celebrates beginnings with a Disney Pixar-inspired dinner the entire family is sure to enjoy. This unique celebration lets families ring the New Year together. It features a buffet-style dinner, Disney characters, activities for the little ones, a trendy DJ and exclusive viewing of Magic Kingdom fireworks! “Down in New Orleans: A Disney New Year’s Eve Dining Experience” in the Grand Republic Ballroom is a fine-dining experience inspired by the Disney animated film “The Princess and the Frog.” Toward the end of the evening an amazing vocalist, reminiscent of Tiana, joins the band to bring to life the Academy Award-winning classics of legendary composer, Randy Newman. Guests can then slip outside with a glass of bubbly just before midnight to ring in 2018 with a private viewing area for the Magic Kingdom Park fireworks. Hours are 7 p.m. to 12:15 a.m.